This Vickers is modified with a Soviet 45mm gun, new optics etc. making it into a T-26E. 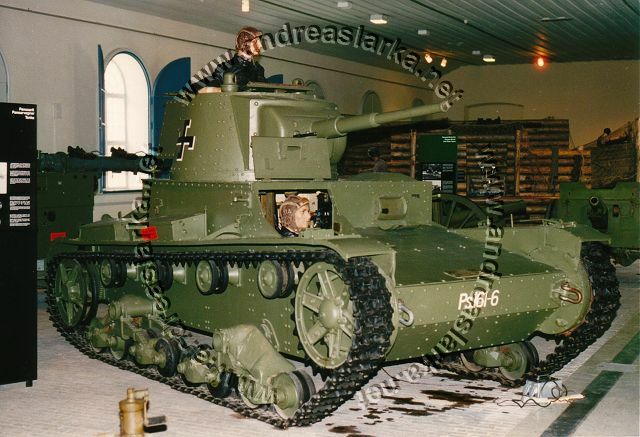 Used by the Finnish armoured forces in The Continuation War 1941 - 1944. These pictures are taken at the Suomenlinna War Museum in Helsinki, Finland.